The amount of light emitted from an IPL is proportional to the pattern of the current through the flashlamp. In conventional IPLs, the current pattern tends to be Gaussian, which produces an uneven beam distribution over the pulse with a central “hot spot”. Lutronic’s Simmer Mode Technology drives the SOLARI flashlamp evenly to produce a very stable, flat and homogeneous spectral output over the entire pulse, as seen in the illustration in the right-hand panel: this is SOLARI’s true square pulse technology. 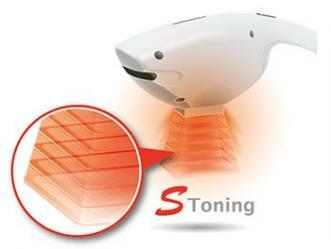 With this square pulses, the clinician can get homogeneous delivery of light across the treated area with no hot spots, thereby helping prevent unwanted side effects. 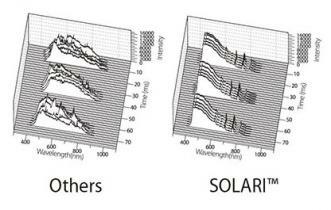 SOLARI’s time resolved spectral distribution delivers an even distribution of the spectrum for each micropulse over time as illustrated in the right-hand panel, whereas in other IPL systems the spectral distribution of each micropulse fluctuates noticeably. This will increase the possibility of creating side effects due to the highly variable amount of spectral fluctuation during short millisecond pulses. 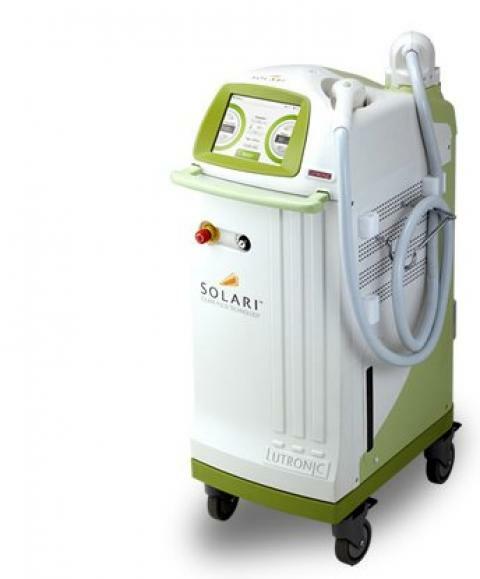 However, clinicians can expect a predictable treatment outcome with SOLARI as the system delivers a very stable spectral output per pulse over time.